We all know what the months is and the season it brings, we are in the month of surprise and MTN is here to bless us with huge data bonus 29GB. 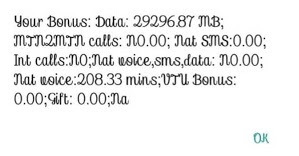 MTN Nigeria is really taking the data plan to the next level of affordability with the latest and cheapest data bonus. The bonus data is to lure back the customers who have dumped their SIM to start using it again. 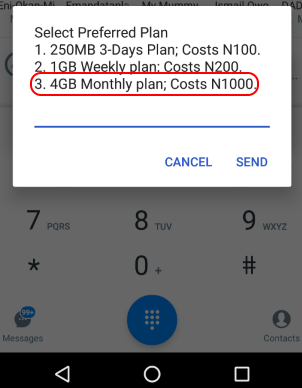 Then, choose the N1,000 for the 4GB data plan. If it says, “You are not eligible“, that means you need to look for another SIM to try it, but if it says, “Insufficient Balance“, you can proceed to the next step, by loading the N1,000 airtime (do not transfer).